presents our New Season Arrival for the coming Festive Seasons. New Season Preview for the coming X’mas (7th and 8th Dec, 12noon – 8pm). 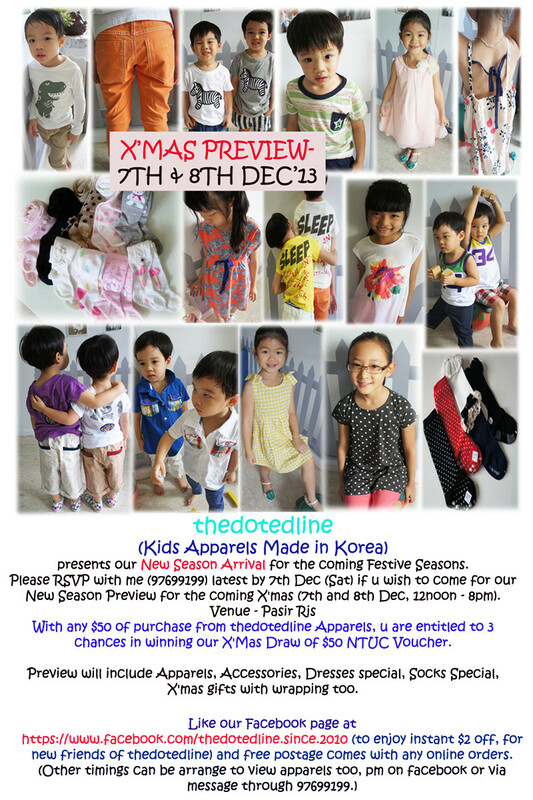 With any $50 of purchase from thedotedline Apparels, u are entitled to 3 chances in winning our X’mas Draw of $50 NTUC voucher. Preview will include Apparels, Accessories, Dresses special, socks special, X’mas gifts with wrapping too. https://www.facebook.com/thedotedline.since2010 (to enjoy instant $2 off, for new friends of thedotedline) and free postage comes with any online orders.